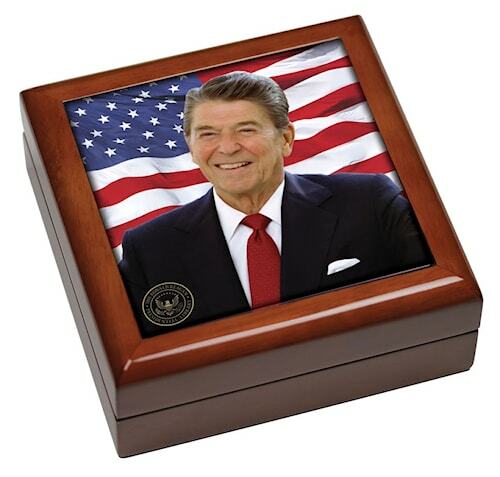 Ronald Reagan Keepsake Box. President Reagan poses in front of an Americn Flag, 4 1/4" square Image is inserted in white velvet lined 5 1/2 x 5 1/2" wooden box. Packaged in white gift box.